The following pages provide an insight into our products and the technology behind. For any further information please do not hesitate to contact us directly. Chipron GmbH holds certificates for its established quality management system in accordance with the standards EN ISO:9001 and EN ISO:13485 for in-vitro diagnostic products. Apart from regular audit schemes organized by our trained personel, annual external audits are performed by mdc – medical device certification GmbH, Germany, ensuring full compliance with the respective standards. 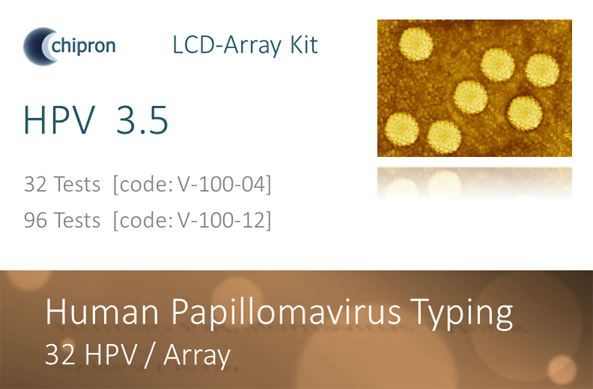 Chipron GmbH specializes in development & production of PCR and DNA-Array based molecular assays for multiparameter analyses. 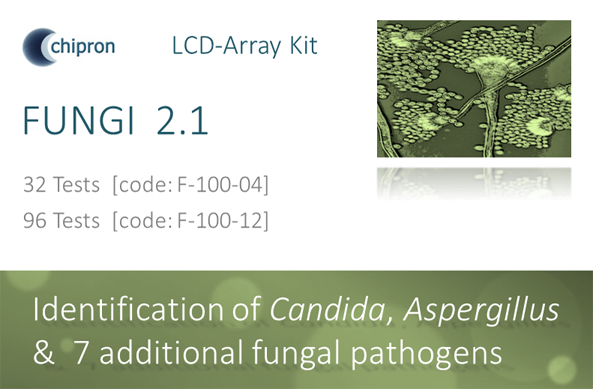 Since its first launch in 2005 the proprietary LCD-Array Kit format has quickly entered a broad range of application fields covering human diagnostics of viral, bacterial and fungal pathogens, animal species identification for food authenticity testing as well as customised products for applied research. In 2006 the production facilities with a current capacity of 50.000 arrays/month, the research labs and main offices moved into the historical Biotechnology Center Berlin-Tempelhof in the heart of the German capital. Equipped with state of the art laboratories including Class D clean rooms we benefit from an inspiring working atmosphere with our partners & colleagues at TIB Molbiol Syntheselabor GmbH, GenExpress GmbH, Chemicell GmbH and EMP Biotech GmbH. Over the last 10 years an international network of professional distribution partners has been established, making our products available in over 35 countries world wide. 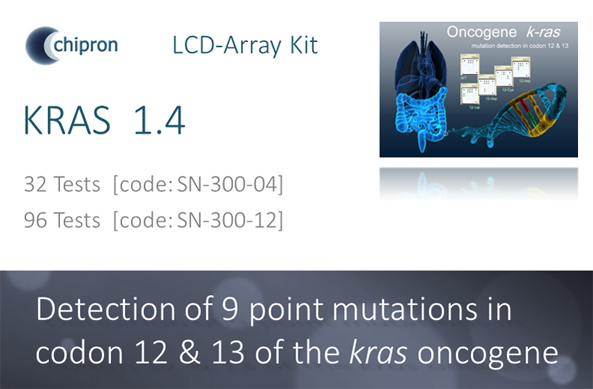 Real Multiparameter Analyses – beyond multiplex PCR’s capacity. 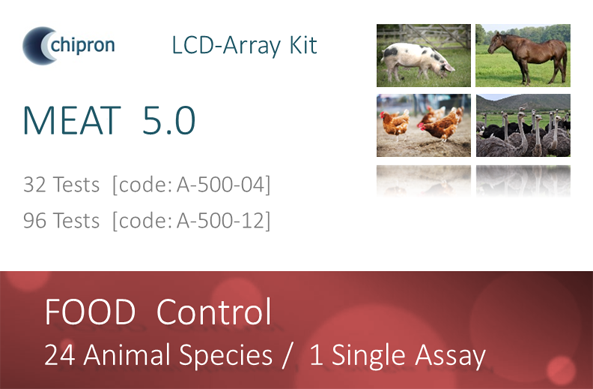 The LCD-Array platform has been designed for applications with more than six (up to 32) different parameters to be analysed qualitatively in single reactions – where multiplex (real-time) PCR formats reach their limits of capacity. 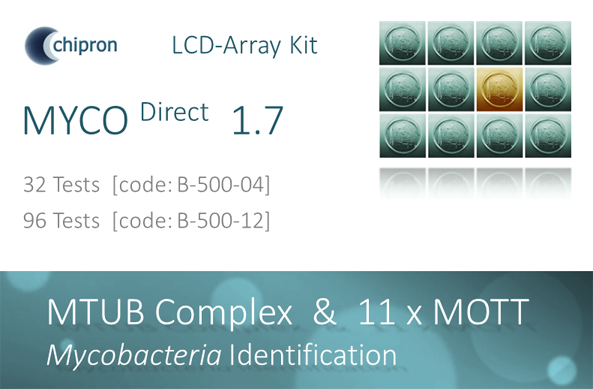 The unique combination of transparent polymer supports carrying 8 identical arrays per chip, high resolution transmission light scanning and a well balanced, non-fluorescent detection chemistry make LCD-Array Kits very robust and reliable tools comprising excellent sensitivity and specificity. 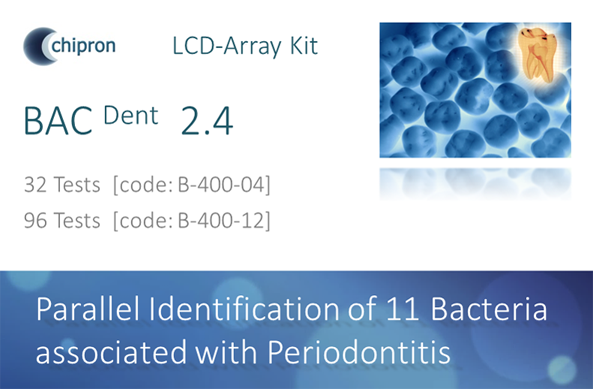 Due to minimal requirements for extra equipment, the simplified protocols and last not least the comparatively low costs per assay, LCD-Array kits can easily be implemented in all laboratories with an established PCR infra structure and a demand for medium sample through put for routine or research applications. With a few clicks the intuitive SlideReader V12 software guides you from chip scanning to comprehensive data reports in PDF format. Alternatively, raw data can be exported in various formats for down stream processing.